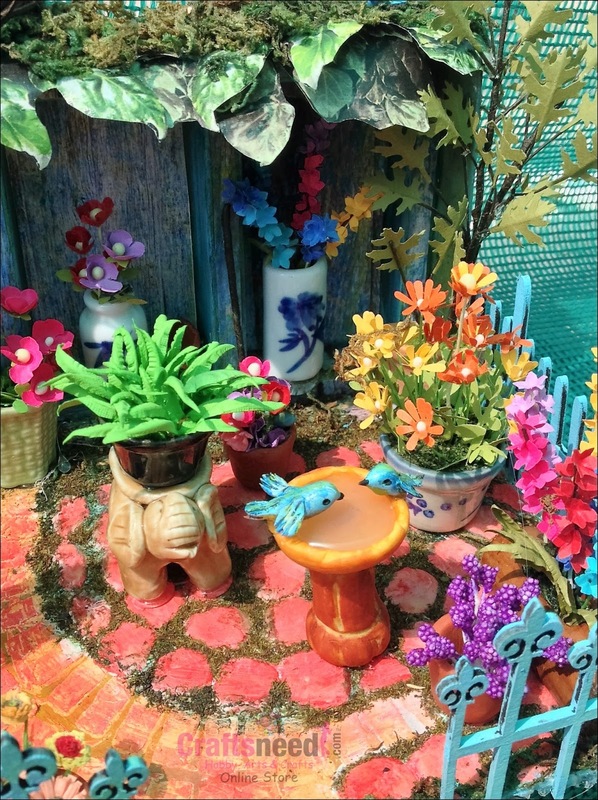 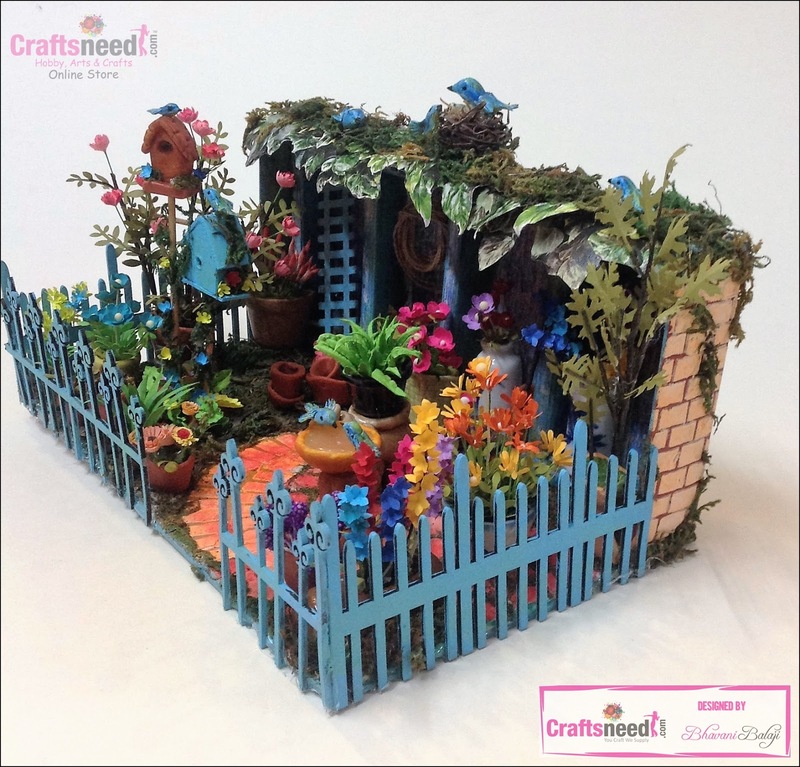 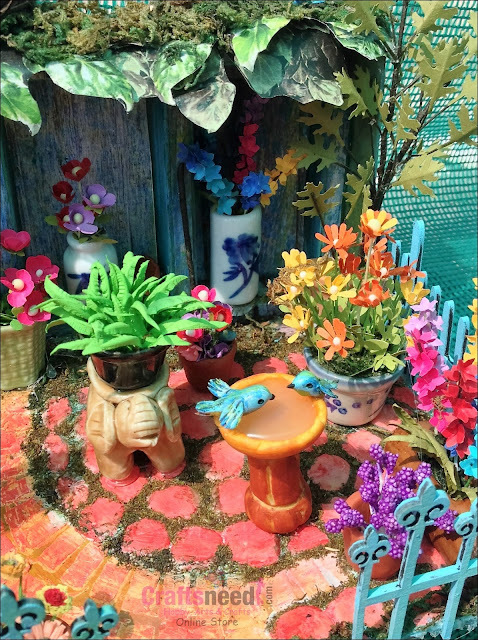 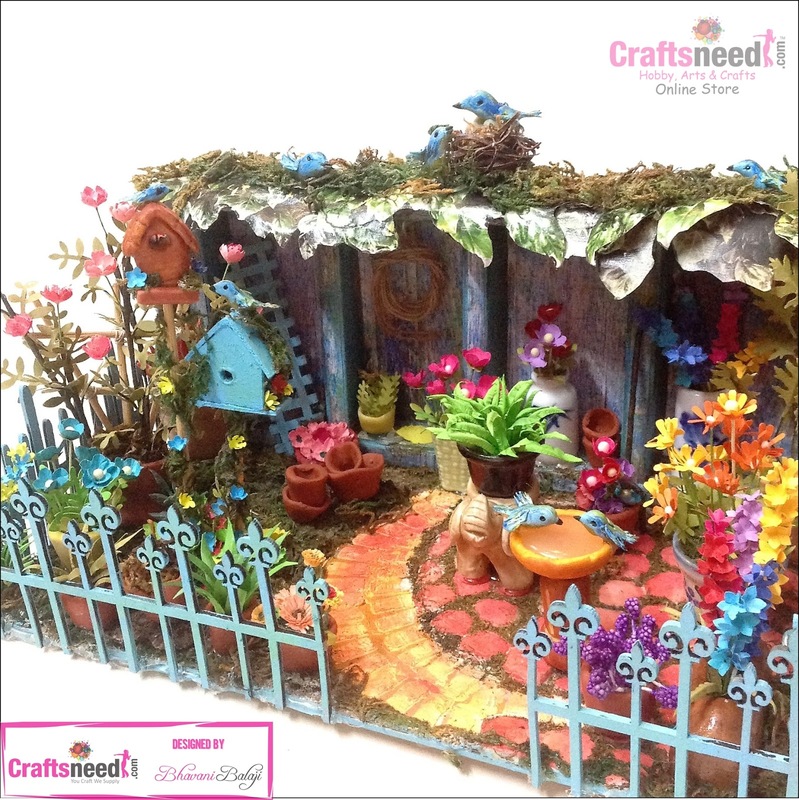 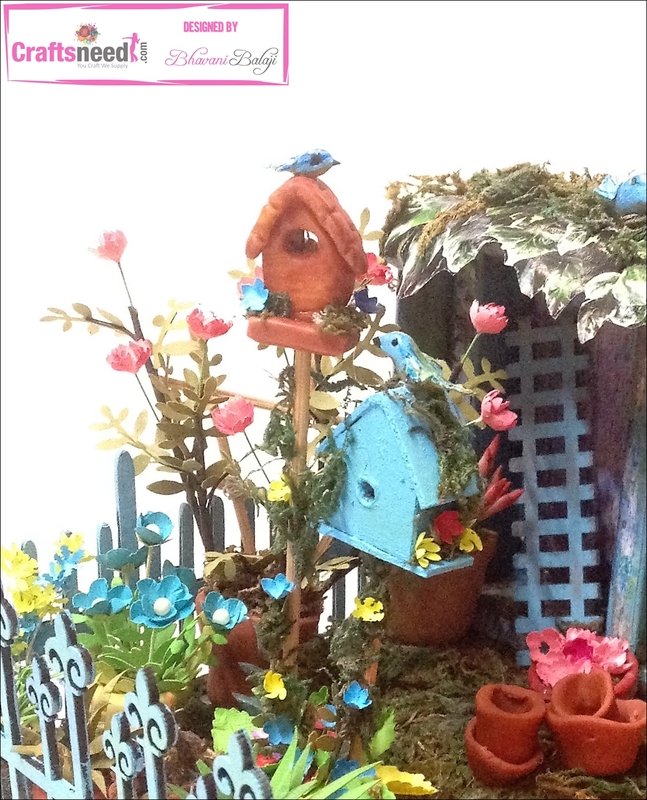 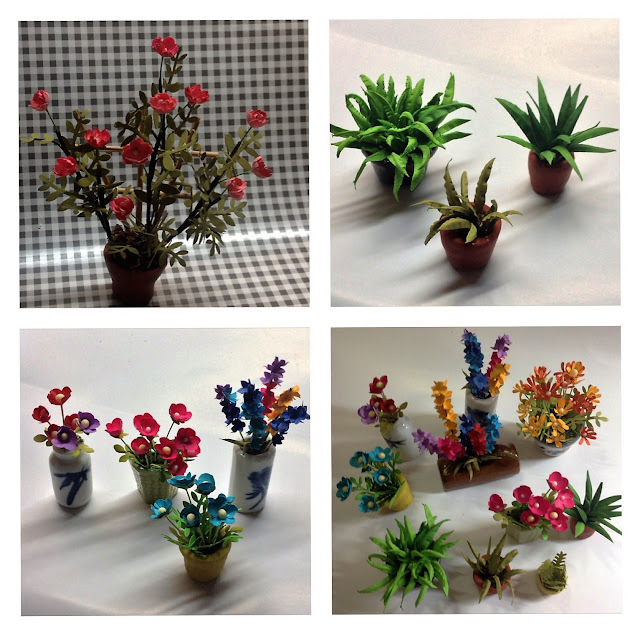 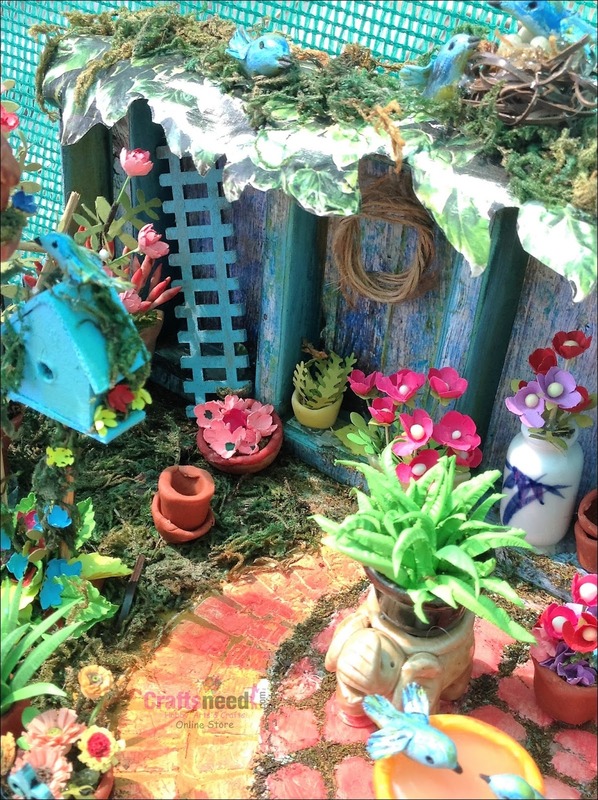 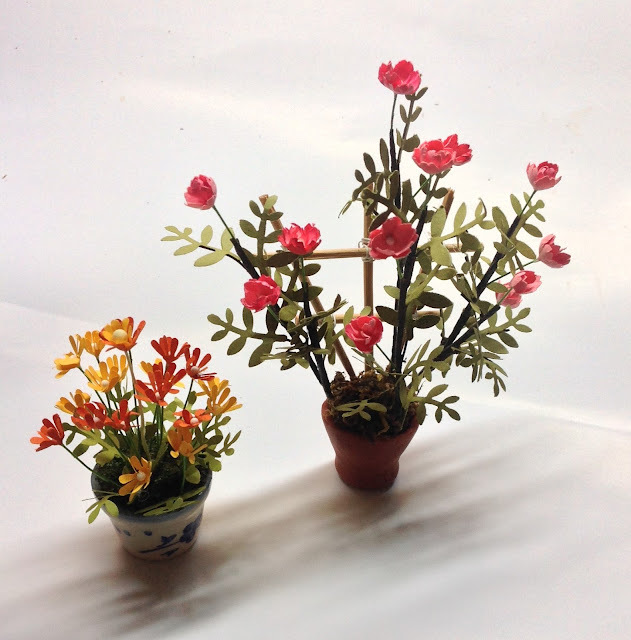 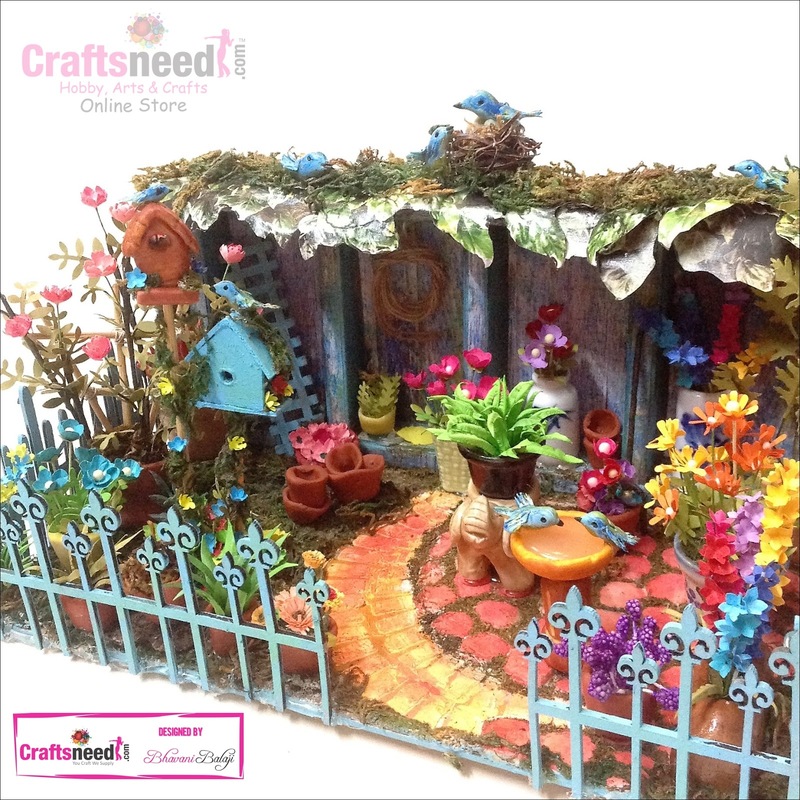 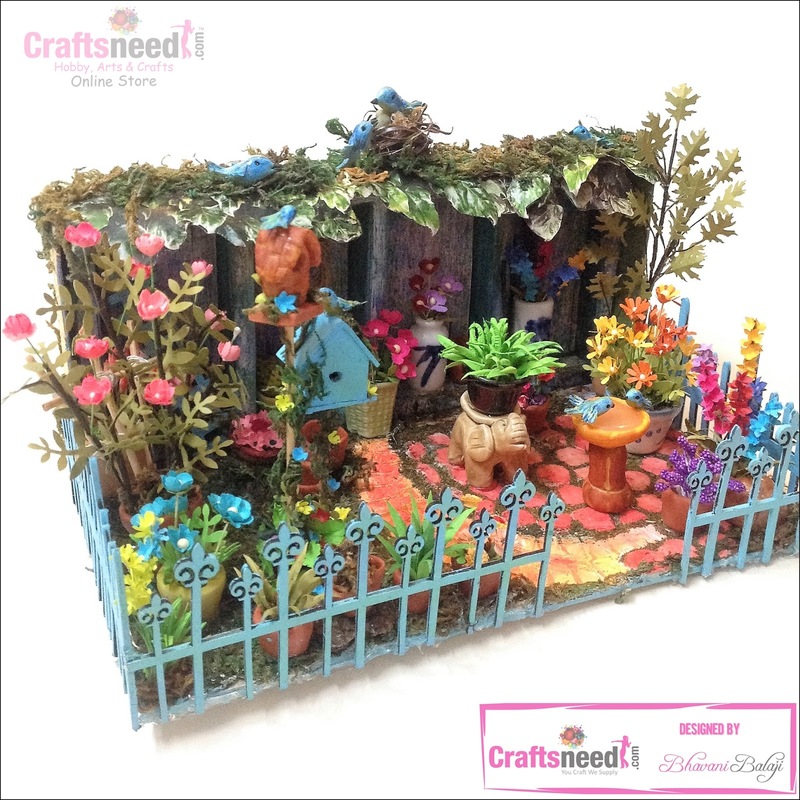 Today I have come up with miniature garden with cute little flowers, birds and mini plants. 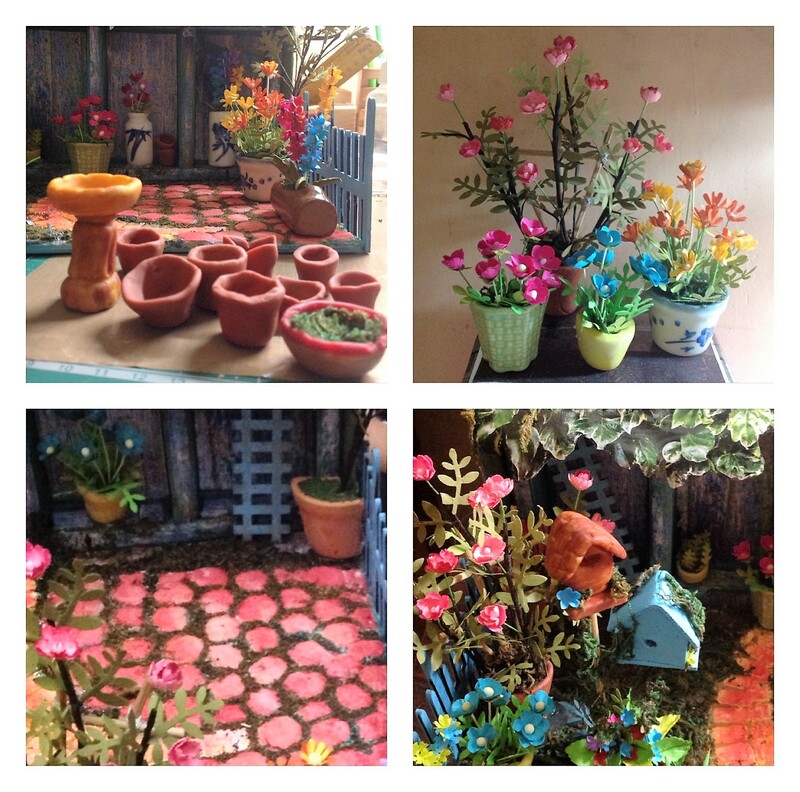 All these are handmade no moulds are used to create pots, birds and bird house. 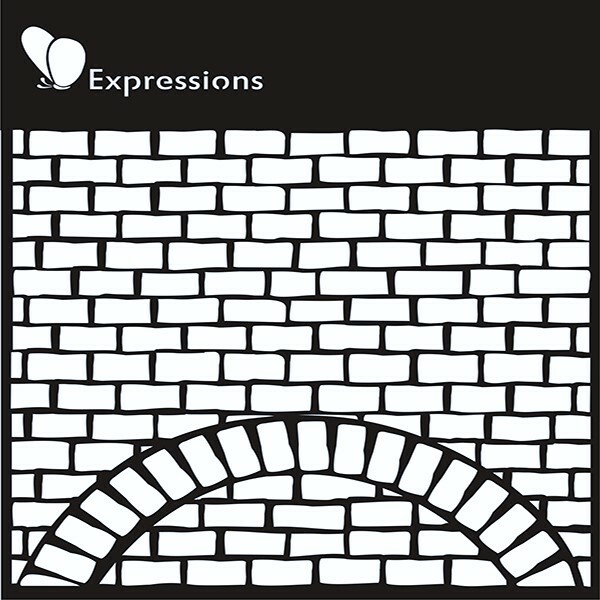 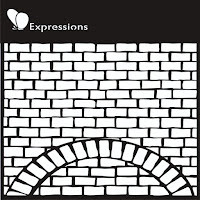 To create this wall i have used Brick Wall stencils from Expressions stamps, applied gesso over it. 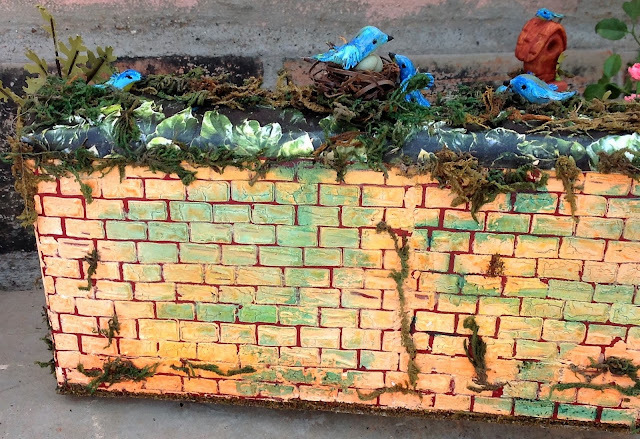 Then sprayed with spray paint over the dried texture. 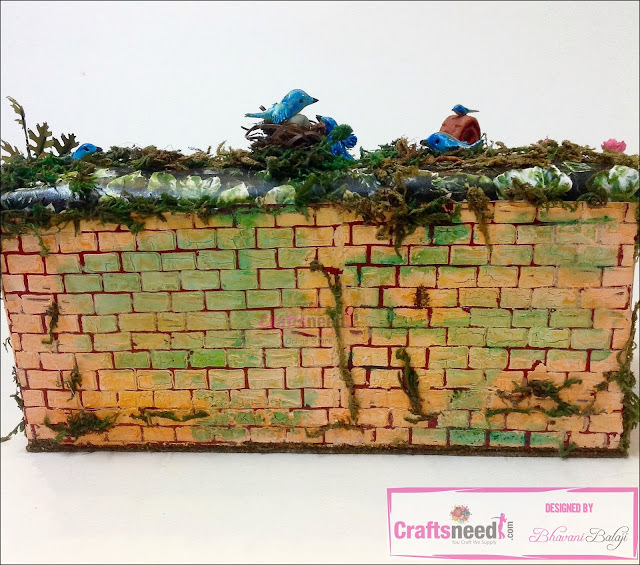 I have used orange and geen tome to give an Algae formed look to the wall with the dry moss. 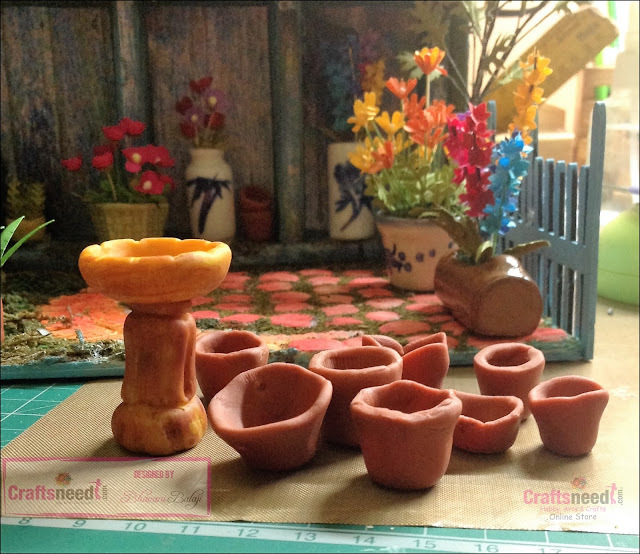 Different variety of mini ceramic pots i have used and the pots with brown terracotta color and thw birds water feeder was handmade by me using Thai clay. 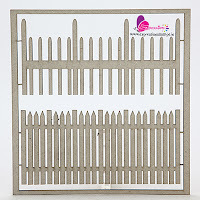 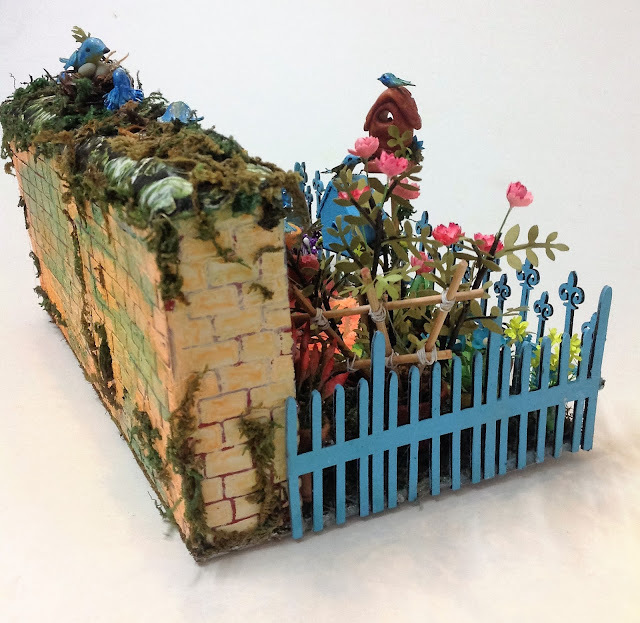 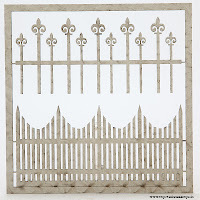 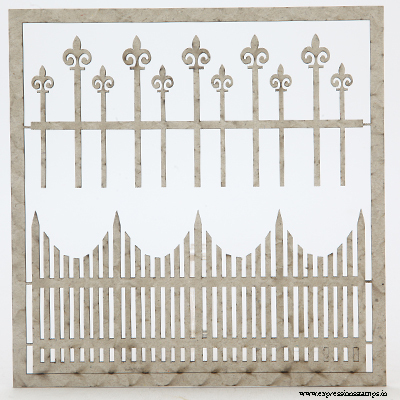 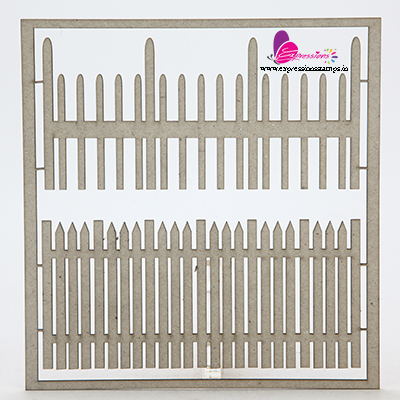 For overall fencing i used decorative Chip board embellishments from expressions stencils. Painted with blue chalk paint. Though the pots are not with good finished edges, they suit aptly for this garden.